You can follow Christine on her website, newsletter, blog, facebook, twitter, goodreads, and/or google+. 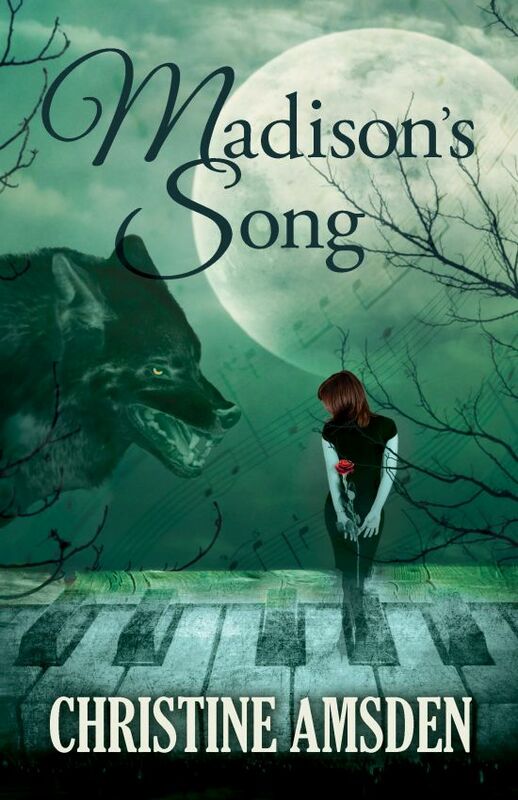 You can purchase Madison's song from amazon, or barnes & noble. The first police car screamed into the lot, skidding to a halt so close to the front of the truck that it was a miracle it hadn't hit. They were caught. Madison glanced at Scott for instructions, but his eyes were closed and he was muttering something under his breath – casting a spell. Two uniformed officers spilled from their car, but they didn't come towards them. Instead, they went for Mick and his dad, cutting them off before they could pile into a rusty Toyota. Then another squad car screamed into the lot, ejecting two more officers who went into the building. She barely heard him, but she obeyed. She put the truck in reverse, carefully backed away from the police car trying to kiss their bumper, then threw the truck into drive and peeled away. Madison kept glancing at the mirrors, even though the angles were wrong, looking behind them for the cars that would surely give chase. They didn't. The police officers acted as if they couldn't even see them. It wasn't just the policemen who couldn't see them, as Madison discovered when she pulled into traffic. She screamed and slammed on the brakes, barely missing a collision when a car changed lines directly into their side. 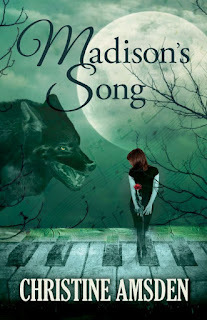 I've had the pleasure of reading all of Christine's past books, and when I was offered the opportunity to read Madison's song; a spinoff of the original Cassie Scot series, I didn't hesitate and couldn't wait to begin. I was warned by Christine this story would be far darker than the Cassie Scot series, and with a prologue like the one written, I knew I was in for a whole different read than her other novels had been. 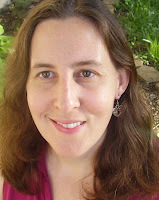 This is a stand alone novel, and when history from the past novel is mentioned, enough back story is briefly noted you're not lost if you're new to Christine's writing. Madison is a song bird, meaning she possess her magic through song, she can make people feel, and do all through using her voice. Scott, well he's an alpha werewolf who has a lot of responsibility. He's young and powerful, before being bitten he was an apprentice sorcerer with much magic, this comes in handy when his need to fight evil, however he himself is nothing but evil once a month during the full moon, his mind leaves when his wolf transforms. They both have an undeniable attraction to one another, but Scott is dangerous in more ways than one, he knows she knows it. She's seen him transform, she's seen his wolf do unspeakable things, things that no human should ever see. She knows first hand how dangerous he is, but he's saved her life, and along this journey he protects it, and saves it more times again, only making her feel more love for the man, and less fear of the wolf. Her fear of Scott still lingers strong, she only pushes through her fear because the fear of her brother's fate is far more obscure. Against Scott's better judgement and her refusal to stay home they travel across state lines in a search to find her newly bitten brother before his first transition. Along the journey Madison finds her true strength in her magic, Scott teaching her that the only thing standing in her way of true magic is her confidence. When she finds her confidence she becomes far stronger in her magic than she ever thought possible. Soon, Madison finds herself being kidnapped once again by a powerful sorcerer who conducts lab experiments on paranormal creatures, she is alone and hopeless until once again her life's survival is in one man's hands, Scott. Another captivating novel, flawlessly written, thank you Christine. Take a minute to enter Christine's giveaway through the link below. I have never had to face my biggest fear and I hope to never have to! I love paranormal romance because it has no real limits ... it's fantasy so the sky is the limits and often the romance part is deep, intense, all consuming!